The Senate Republican Majority had plenty of announcements on Monday, including that Bethel Democratic Sen. Lyman Hoffman had joined their ranks and that their caucus is less-than-binding when it comes to the budget, but the most dramatic change was the expansion of the Senate Finance Committee from seven to nine. 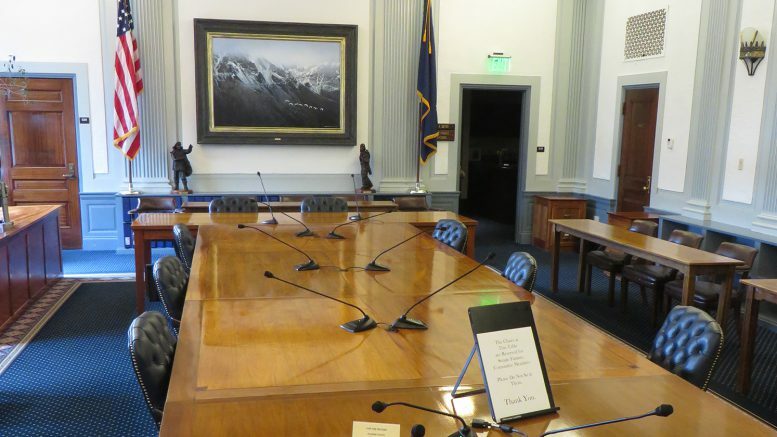 The move was pitched as a move that “gives nearly 50 percent of Alaska’s senators hands-on roles in the budget process,” according to the news release about the announcement, but because of the Legislature’s uniform rules on committee membership it also effectively shrinks the say minority Democrats will have on the committee. The Legislature’s uniform rules guarantee the minority a certain number of seats based on the size of the group’s caucus. 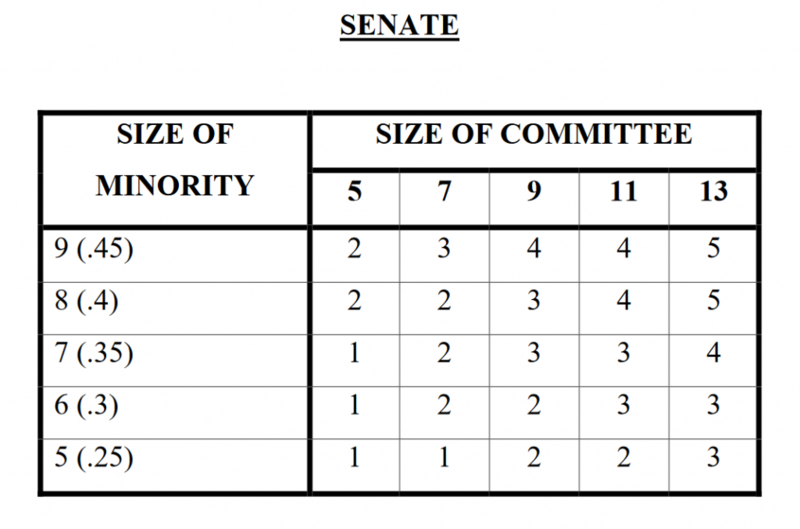 With the growth of the Democratic minority from a bare-minimum of five to six with Rep. Scott Kawasaki’s win over Sen. Pete Kelly, the minority’s guaranteed membership on the seven-member Senate Finance Committee went from one to two. It created some potentially interesting dynamics considering Republican Sens. Bert Stedman (who was announced as the committee’s co-chair, a position he held as part of the now-defunct bipartisan coalition from 2006 to 2012) and Click Bishop (a labor-friendly Republican) are considered to be on the moderate side of Senate Republicans. Those two combined with the two yet-to-be-named Senate minority members would hold a majority on potentially critical votes. Now, however, the expansion of the committee from seven to nine doesn’t entitle the minority Democrats to any additional seats. The overall weight they’ll have on the committee will shrink thanks to the move (though it’ll still be way more than in previous years). Still, just what impact this has at the end of the day has yet to be seen and judging this move purely along caucus lines doesn’t paint the whole picture. The expansion of the committee also gave Sen. Hoffman a seat on the committee. While he was a key member of the Republican majority as the co-chair of Senate Finance he could be lumped in with the moderate Republicans like Bishop and Stedman (with Stedman the most conservative of the three). Under either a seven-member committee or a nine-member committee, the reality of any caucus-bridging votes was likely limited, but it will certainly come into play on issues like the funding of the Alaska Marine Highway System (critical to coastal communities like Stedman’s Sitka), community revenue sharing (which Hoffman helped rework amid the state’s financial woes) and labor agreements (because Click). As it stands, only the Senate Republicans have announced their Finance Committee membership: Stedman and Sen. Natasha von Imhof as co-chairs, regular members Bishop, Hoffman and Sens. Peter Micciche, David Wilson and Mike Shower. The minority Democrats have yet to announce their membership, but we know for certain that for the first time since Republicans took control of the Senate after the 2012 elections that the minority Democrats will be able to field a member from Juneau, Fairbanks or Anchorage (the minority seat on Finance has gone to whichever rural senator caucused with the group: Hoffman from 2013-2014, Sen. Donny Olson from 2015 to current). The Senate Republicans also announced that they won’t be holding a big hammer over members who refuse to vote for the budget, a traditional requirement that put Mat-Su Sens. Shelley Hughes and Mike Shower on the outside of the caucus. Members who’ve strayed from the binding caucus’ requirement to vote for the budget have seen their staff cut and offices relocated, as did Senator-elect Lora Reinbold in 2015. So, really, it’s no longer an automatic big hammer but a potential big hammer. Be the first to comment on "Senate Republicans expand Finance Committee to nine, diminishing power of minority Democrats"